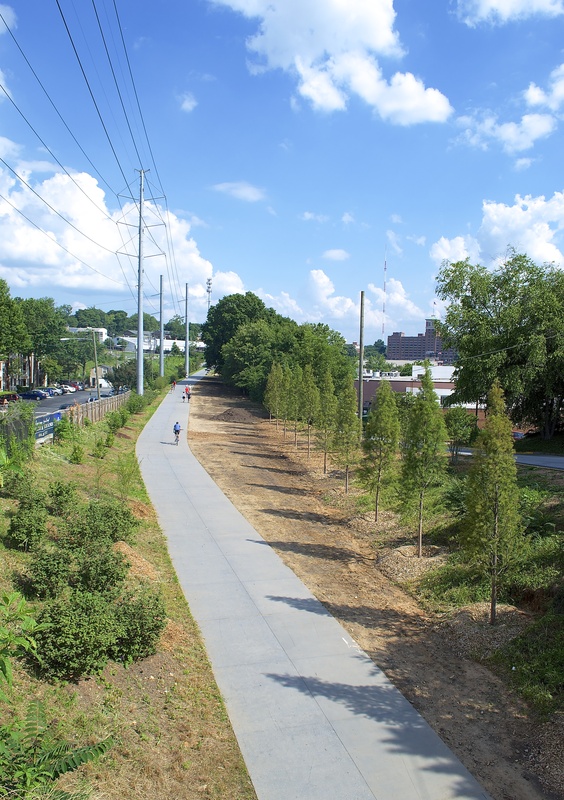 Over the past year, the city has been revisiting each section – or subarea – of the BeltLine overlay district to review and update the underlying zoning. 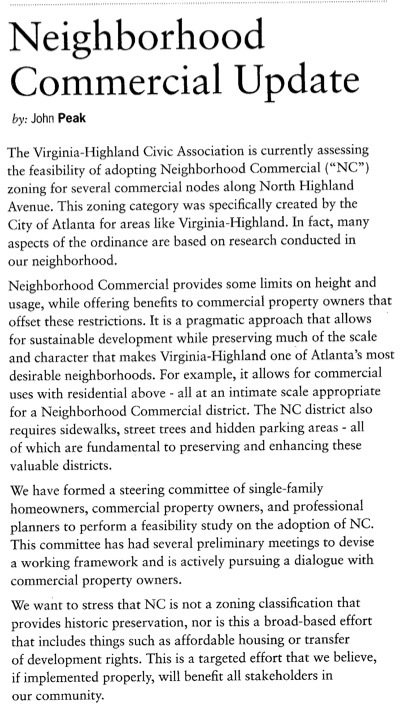 Virginia-Highland is in subarea 6, which – along with subareas 2 and 9 – is next on the list for this public review process. 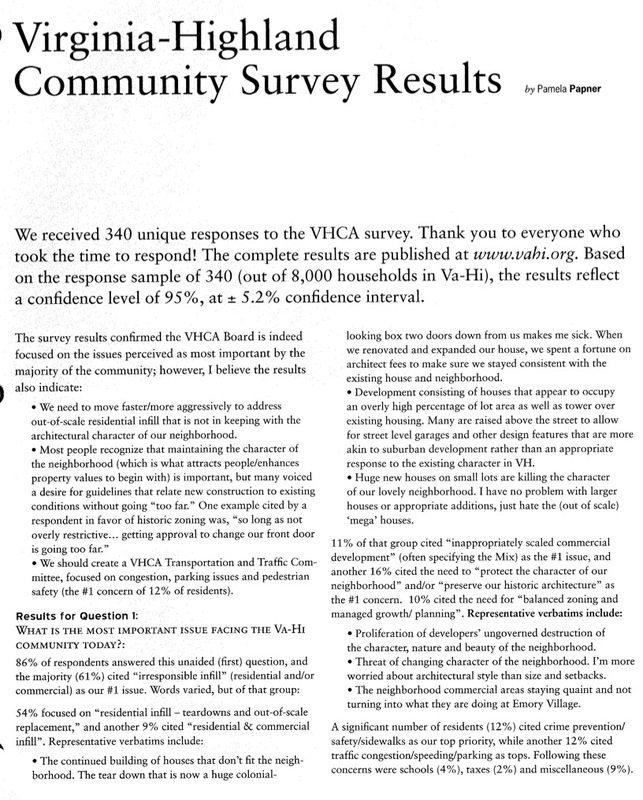 To prepare for the discussion, Virginia-Highland Civic Association hosted a public meeting at Church of Our Savior on Wednesday July 30. At this meeting, we learned from planner Aaron Fortner of Market+ Main that a primary goal of the process is to better define and identify reasonable and appropriate heights, land uses and densities within the Beltline overlay district. For example, our neighboring subarea 5 identified tracts where buildings should not be above 102’ tall, or where truck stops, park-for-hire decks and lots, and mixed-use storage would be inappropriate within the context of the surrounding tracts. It is important to note that all residential parcels for single or two-family homes (R-1 to R-5) are exempt and won’t change in this process. Another consideration in the review process entails creating the groundwork for a vibrant, walkable retail space. Storefront streets and land tracts will be identified in the process where this kind of development will be encouraged. For example, once a building is 60% or more removed or destroyed, the proposed guidelines would provide that new buildings use higher quality building materials (i.e. not vinyl), install windows to comprise 65% or more of the building’s façade, and employ other design guidelines that result in pedestrian-friendly retail. 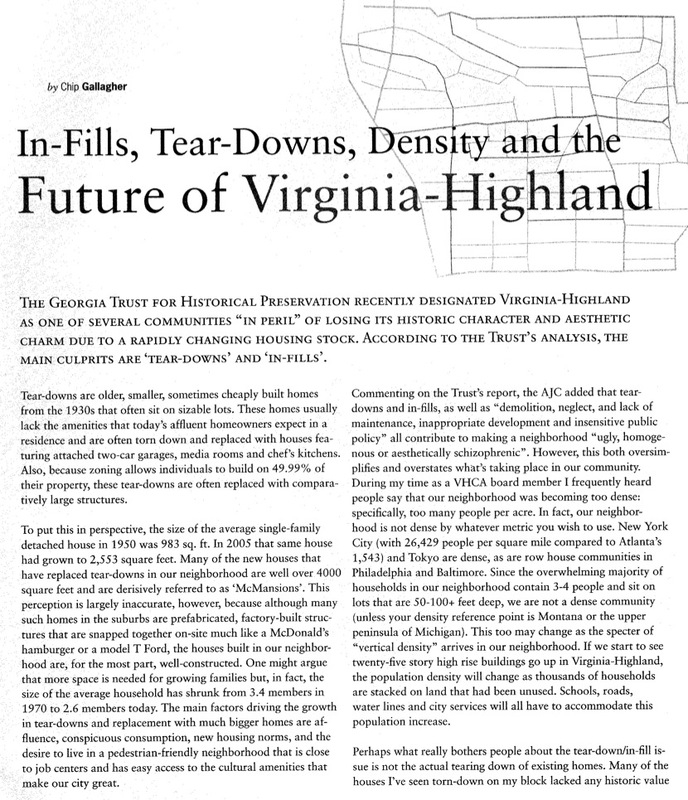 Through this review process, we are being provided an opportunity to shape the future of Virginia-Highland. This fall the Beltline will be hosting public meetings for input on our subarea 6 and we will do our best to publish the details of those meetings. In the meantime, if you are interested in participating in discussions relevant to this topic, please contact planning@vahi.org. For additional background on this topic, please read our July 10th article. Click here for a copy of the BeltLine’s Subarea 6 plan. Click here for current zoning designation maps for Virginia-Highland. The operation of adult entertainment on Cheshire Bridge Road has been a topic of concern for many residents, property owners, and business owners in this area for years. 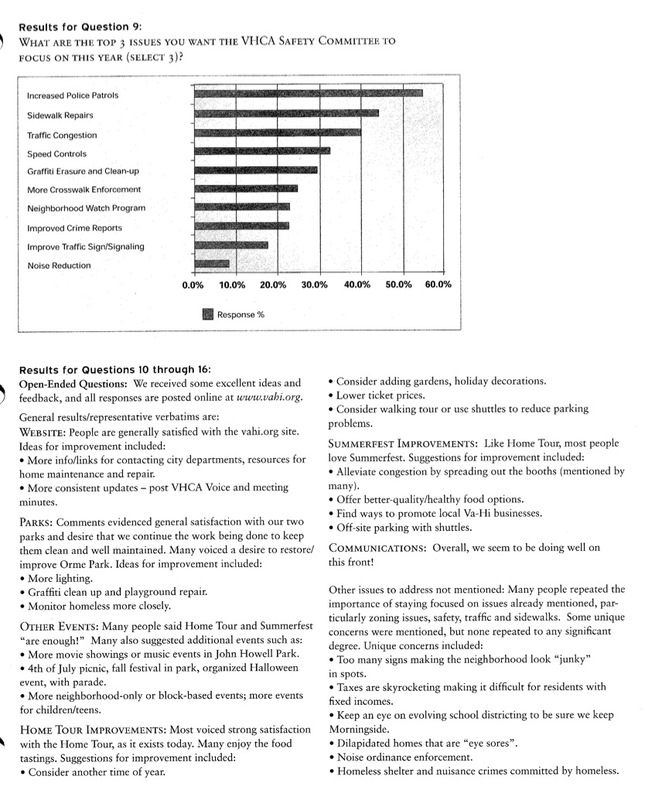 In 1999, the Cheshire Bridge Road Study was published. It was the result of a year’s worth of work and input from surrounding area residents, property owners and City of Atlanta staff. Among many findings, the study concluded that the presence of adult businesses on the street was hindering positive redevelopment appropriate for a street surrounded by single-family residences. As a result of the study and its conclusions, a Neighborhood Commercial (NC) Zoning district was proposed to address the future development of Cheshire Bridge Road. Supported by most residents and businesses and adopted by Council, the new NC zoning prohibited new adult businesses and “grandfathered” existing ones on the supposition that they would disappear in the foreseeable future. Some did; most did not. The new proposed legislation’s primary change to the original NC zoning is to “sunset” the grandfathered adult businesses. It gives non-conforming adult businesses five more years to operate and requires them to relocate by June 30, 2018. The three neighborhood associations that abut Cheshire Bridge Road – Morningside-Lenox Park Association, Piedmont Heights Civic Association, and Lindridge Martin Manor Neighborhood Association – have voted to support the sunset legislation, as has NPU-F. 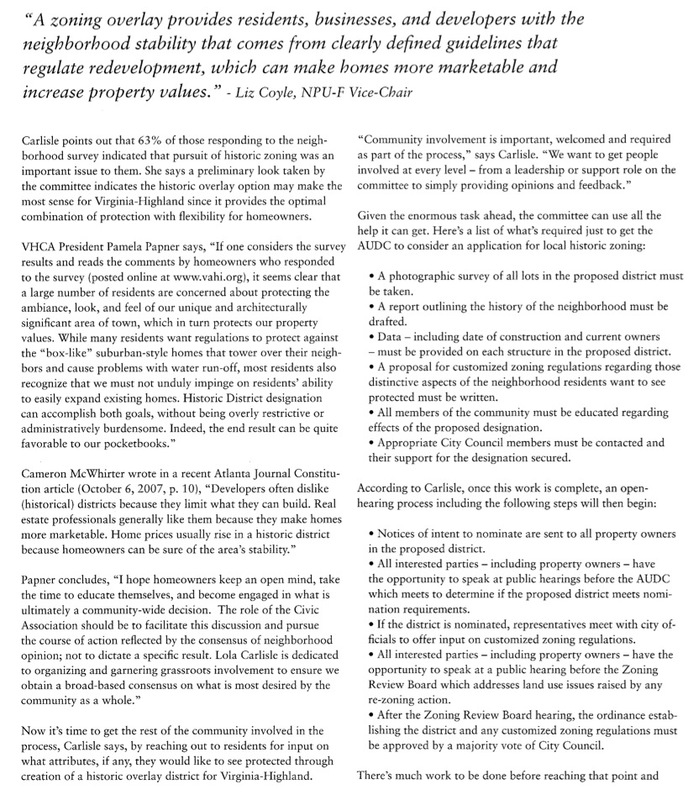 The legislation was considered at the May 9, 2013 Zoning Review Board (ZRB) meeting. 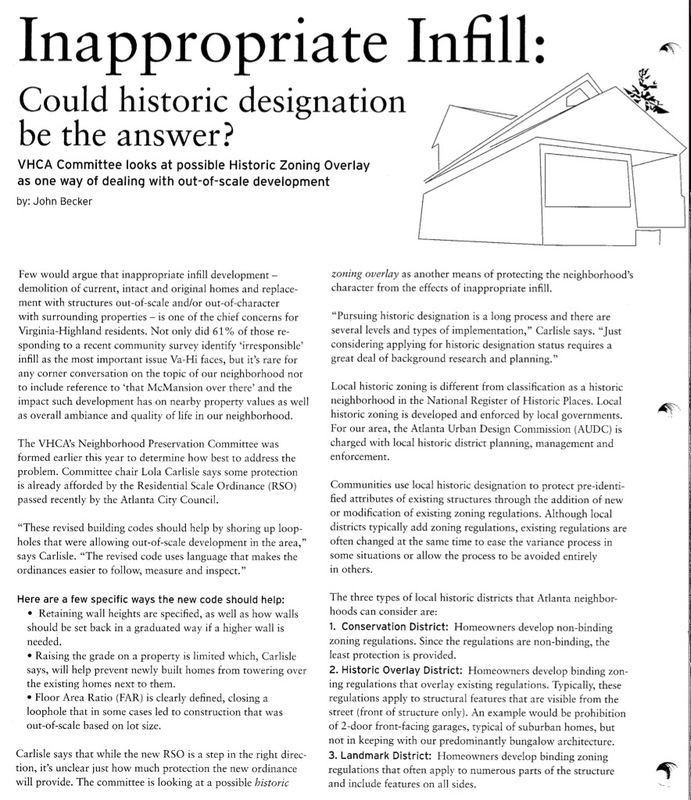 Many residents spoke in favor of the proposed legislation, making the well-established arguments about the challenges associated with zoning uses traditionally viewed as incompatible. 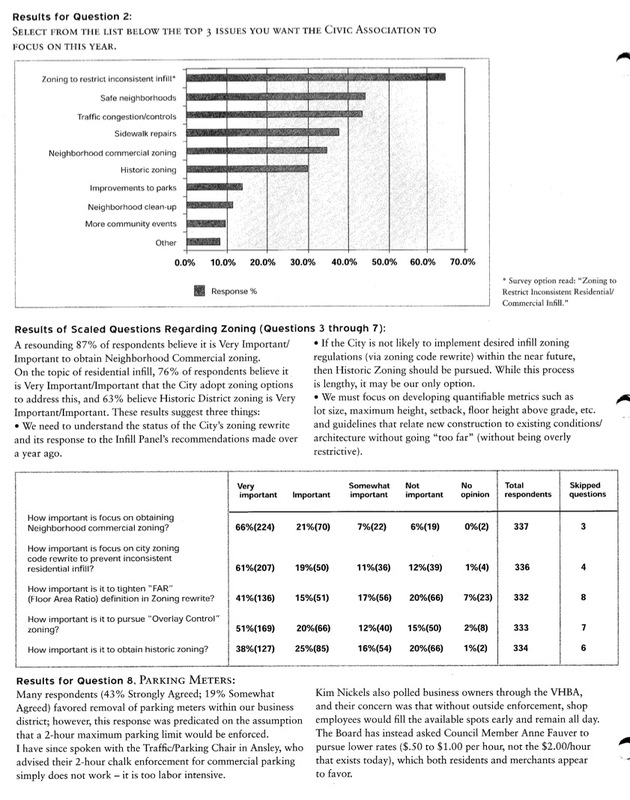 Many non-residents (business and property owners, employees of the Cheshire Bridge adult businesses, and special interest groups) spoke in opposition, arguing that requiring businesses to move elsewhere – even after 20 years – was unconstitutional or might increase unemployment. The City of Atlanta Legal Department testified that the proposed ordinance is consistent with Georgia law and the US Constitution, and the Planning Department recommended approval. The citizens on the ZRB appeared to be baffled and paralyzed by the presentations and the attendant theater; after several stretches of dead silence, it eventually opposed the ordinance 2-1, with two members abstaining from the discussion and vote. The ordinance then went to the City Council’s Zoning Committee, where it passed 3-2, with one abstention. Its next stop is the full City Council on June 3rd. A favorable council vote will send the legislation to Mayor Reed for his approval. 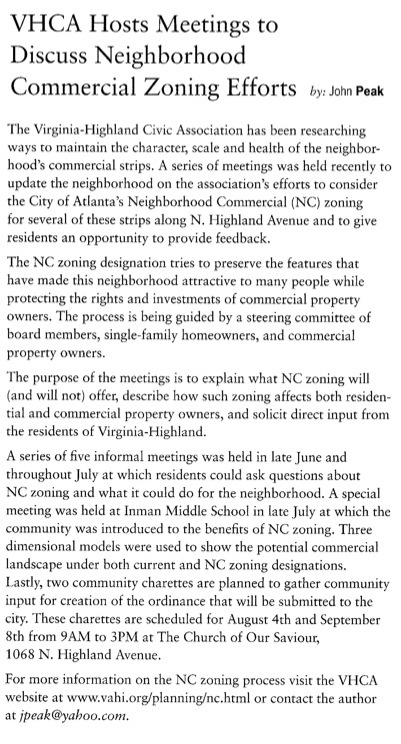 Direct public input on legislation is not permitted at Atlanta City Council meetings, but Virginia-Highland residents are encouraged to review the proposed legislation and contact city council members to voice your opinion. There are several petitions available online on this topic as well, should you choose to seek them out. Added: Presentation on Neighborhood Commercial Zoning by Aaron Fortner. 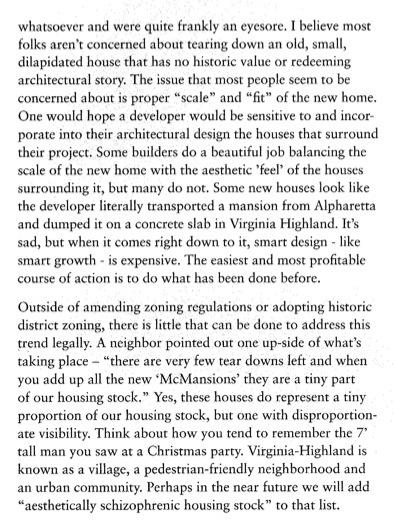 What are the goals and uses of NC Zoning? What are the three NC zones and what are the guidelines for each? 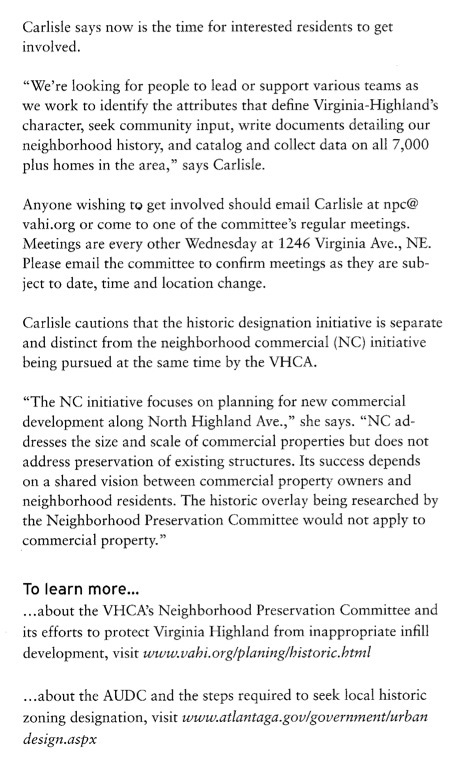 Join the VHCA Planning Committee this Wednesday for an informative presentation on Neighborhood Commercial Ordinances. 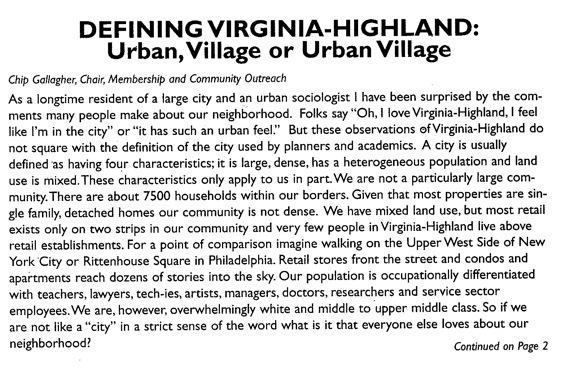 These ordinances guide the commercial development in the three key commercial nodes in Virginia-Highland. Aaron Fortner, who was involved in the process to develop these ordinances, will present. The presentation will follow variance application reviews on the general Virginia-Highland Planning agenda so the presentation would likely begin around 7:30PM on March 8. The general Planning meeting begins at 7PM. All are welcome for both. Parking is available in front of the building and on street. A lawsuit has been filed by INTOWN RESTAURANT CORP. d/b/a THE DARK HORSE TAVERN, VIRGINIA HIGHLANDS ASSOCIATES, INC. d/b/a NEIGHBOR’S PUB, URBAN MARKET, INC. and DOUGLAS F. LANDAU against VHCA board member WINNIE CURRIE. A copy of the lawsuit is available for review. The VHCA board of directors met to discuss this matter and is in full support of Ms. Currie. The VHCA will support a vigorous defense of Ms. Currie. Please make checks payable to the Virginia-Highland Civic Association and indicate “Legal Fees” on the memo portion of your check.